I recently installed a car video recorder because a while back someone cut me off and clipped my car and took off. 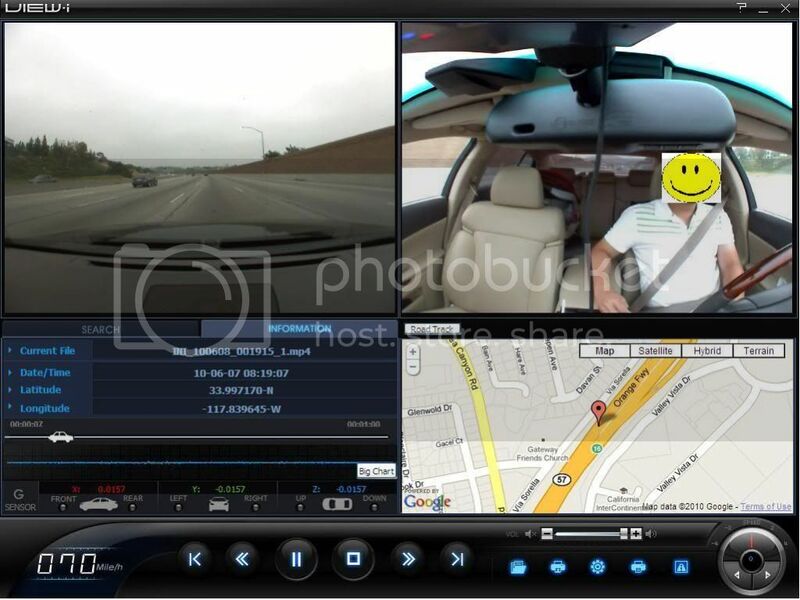 This device will record your while you're driving, track you on GPS map, tell you how fast you're driving. Here are some pictures. Let me know what you guys think. Sorry for the enormous pictures. Sorry it took so long to update everyone. Interesting idea. What is the name of the system? Is this a recorder that you load onto a computer to view later? I would like it better with no wires hanging down and the unit out of view. It's called view-I. A close friend of my is distributing this device in US and asked me to test it out. As for the wiring, Yeah, it's a little corny, in the box, it comes with clips, so that you don't have to have the wire hanging down the middle. I'll set it up later. I might try and see if I can the wire to tuck under the liner where my Sirius wires are. interesting product. what is the suggested retail price? Could post a short video clip to see the picture quality? I'm not sure how to load a clip on this forum, but here is a link where you can watch one of the events that was recorded while I was driving yesterday. Does it store the video on a removeable storage medium? Yeah. The unit comes with 4GB - SD memory, but my friend told me you can use higher capacity memory if you like. 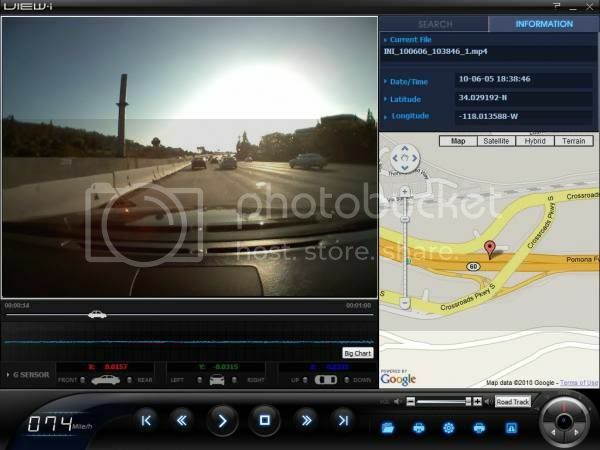 With 4GB, it'll record about 6 hours of your driving. I bet this could also work against you if something happens and are too incapacitated to remember to disconnect and hide it or take it with you. Well, that depends on how savvy the police/insurance people are that investigate. P.S. with some generic mounting hardware you guys can already duplicate these features using a compact camera with video recording (lots of them even do HD now...), and any GPS that has decent track logging - unless I'm mistaken. And that would be wire-free. Last edited by BinaryJay; 06-07-10 at 11:43 AM. Cool. With a proper mounting system (non suction cups), I could see it being incredibly popular in SCCA or amateur racing to go back and review lines, braking, etc. Basic, cheap telemetry. It's an interesting product, but I hope this NEVER becomes OEM equipment. Am I the only one who thinks this is scary? This also means that we may be getting recording without our knowledge. Not saying that I break the law, but hey I might need to rob a bank one day. The economy is rough. But seriously, I don't like the idea of cameras everywhere. I guess it is inevitable though. Last edited by jre002; 06-07-10 at 12:04 PM. Don't travel to the UK.